Only four stars of spectral type "B" (not including white dwarf stellar remnants) are currently believed to be located within 100 light-years or (or 30.7 parsecs) of Sol. All named, they are Algol, Algorab, Alperatz, and Regulus Aa. 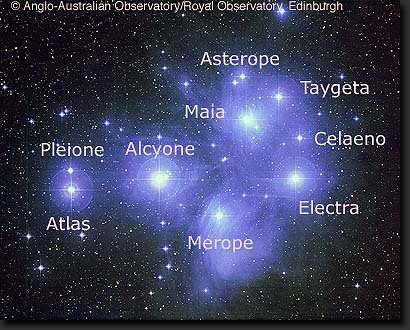 These relatively bright, large, massive, and rare stars are visually prominent objects in Earth's night sky. 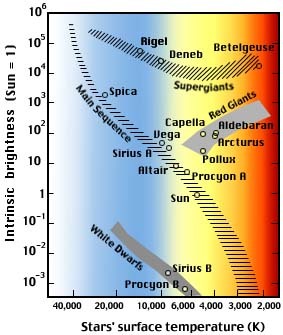 Stars of spectral type B are very hot, bright, and bluish, emitting a high proportion of their radiation in ultraviolet wavelengths from stellar surfaces of around 9,750 to 31,000° K. B stars have spectra that are characterized by absorption lines of neutral helium which reach their maximum intensity at B2, and strong Balmer lines of hydrogen and lines of singly ionized oxygen and other gases. These hot stars range in mass from around three to 20 Solar-masses, which indicates that B stars are very short-lived and may spend from 400 to as few as 10 million years in the main sequence fusing core hydrogen. B stars are frequently found near (and may even be gravitationally bound) to even higher mass, spectral type "O" stars in or near stellar nurseries as OB associations. Usually found in the galactic plane where there are dusty clouds of gas, B stars are very rare (comprising around only 0.1 percent of dwarf stars). However, B stars have visual luminosities of around 100 to 40,000 times that of Sol for B supergiants like Rigel, and so these stars are abundantly visible in Earth's night sky despite their far distances. 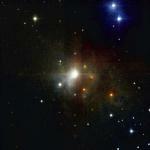 Herbig Be star, R Coronae Australis -- larger image. 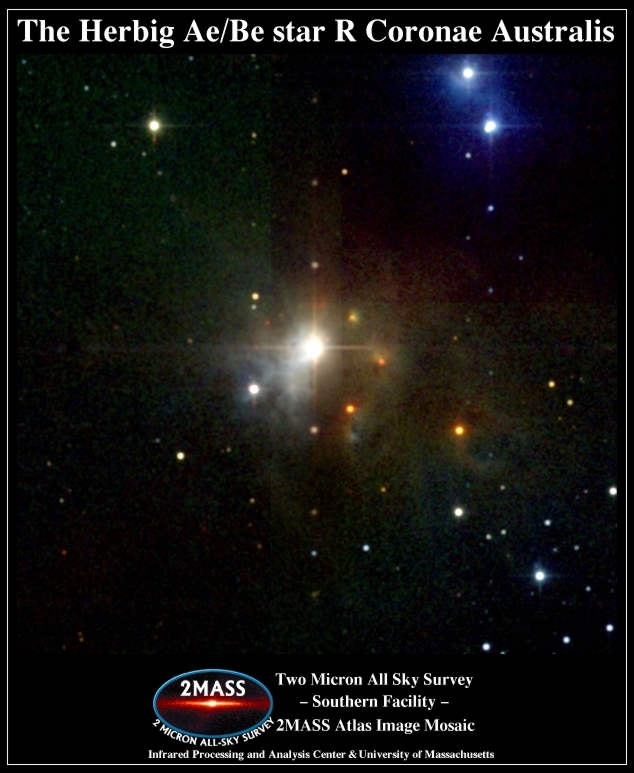 Summary information on bluish white A, yellowish F, yellow-orange G, orange-red K, and many red M stars within 100 light-years are also available. 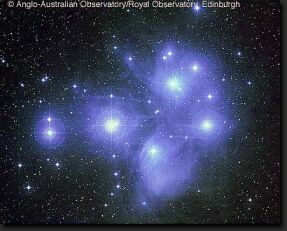 Try Professor James Kaler's Stars site for more discussion of spectral classification as well as information on individual blue-white stars. See also Chris Clowe's summary of spectral type B stars.